Background/Info: This work has been introduced as Spanish EBM and features David Hinojosa aka Dave Inox (who you maybe know from his involvement in Extinction Front). Label owner Pedro Peñas Robles who got involved in numerous bands like Adán & Ilse and A★I joined hands on a few cuts under the HIV+ moniker. 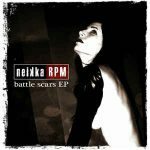 Content: I didn’t know what to expect, but from the very first notes I heard pure vintage and minimal-like EBM, which simply became a trademark of Unknown Pleasures Records. The Spanish spoken vocals might remind you a bit of the legendary “Los Niños Del Parque”-hit from Liaisons Dangereuses while the sound might evoke good-old DAF souvenirs with an extra, contemporary touch on top. Next to both title songs (with only “MissConceptual” feat. 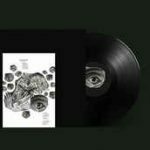 HIV+) you’ll discover 5 remixes by interesting names such as The Horrorist, Adriano Canzian, Delectro, Baroque and Iron Court. + + + : Both title tracks are simply brilliant and in my opinion the best part of contemporary EBM. It definitely sounds vintage-like and yet features this touch of modernism. It reminds me of some legendary 80s formation at one side and the contemporary minimalism at the other. I guess it’s not a coincidence if artists like The Horrorist and Adriano Canzian were asked for a remix. There’s something positive to say about each of the remixes, but my favorite one is “Danger Signal” remixed by Iron Court. – – – : My main regret is that such an exceptional piece of music is only available on digital format. This is the kind of EBM deserving a CD print! Conclusion: Dave Inox is a name to keep in mind and who definitely gets my full support. This artist has found the key to compose alluring EBM. Best songs: “MissConceptual feat. 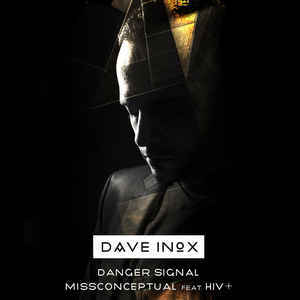 HIV+”, “Danger Signal”, “Danger Signal – Remix by Iron Court”.